Padrehuasi is a small rural community of about 50 inhabitants in the highlands of Cotopaxi. 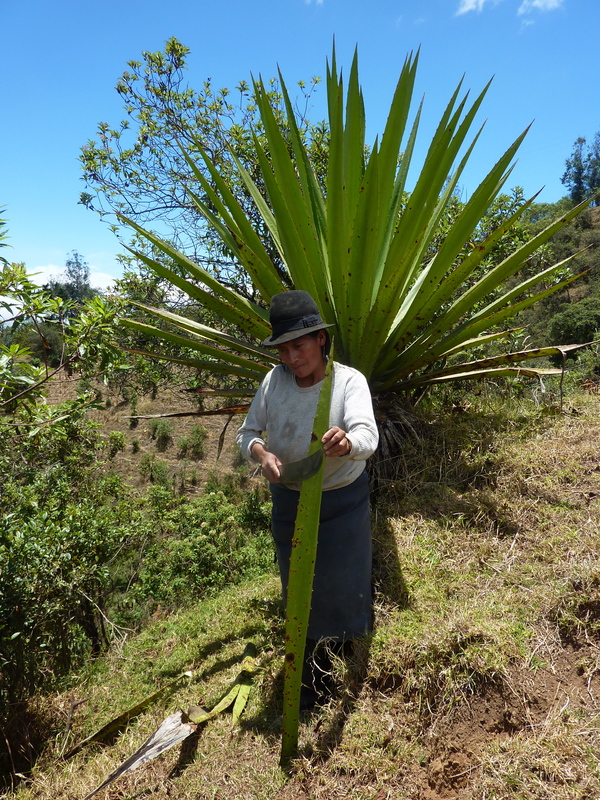 In Padrehuasi the villagers cultivate among other things, fibers and color tints from a natural plant. This in order to fabricate artisanal works from the fibers and tints elsewhere. 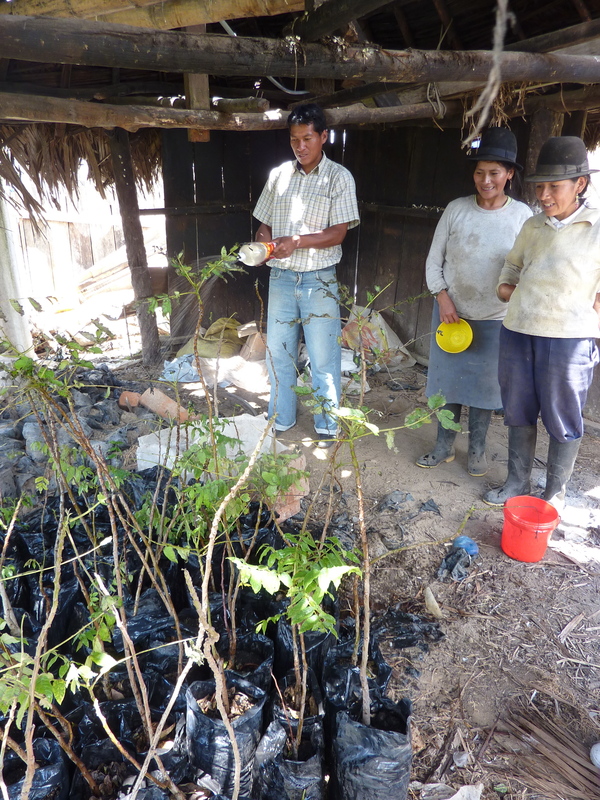 EkoRural in cooperation with a CBO (community based organization) named CINEP and the local artisanal fiber Association ‘Simiatug Samai’ have been implementing a project called “Tejiendo Vidas” in order to reach two main goals. The first goal is to improve and preserve the soil conservation of the land. 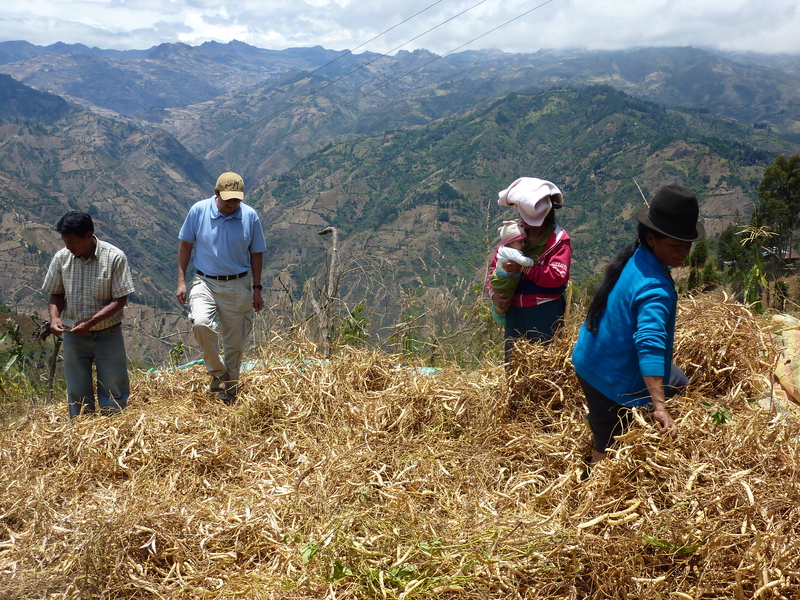 The second goal is to increase the biodiversity of the local farmers in Padrehuasi. About every four months an evaluation session is being organized in the community to keep updated about the progressions and to be able to reflect on the entire process of the project or adjust where necessary. 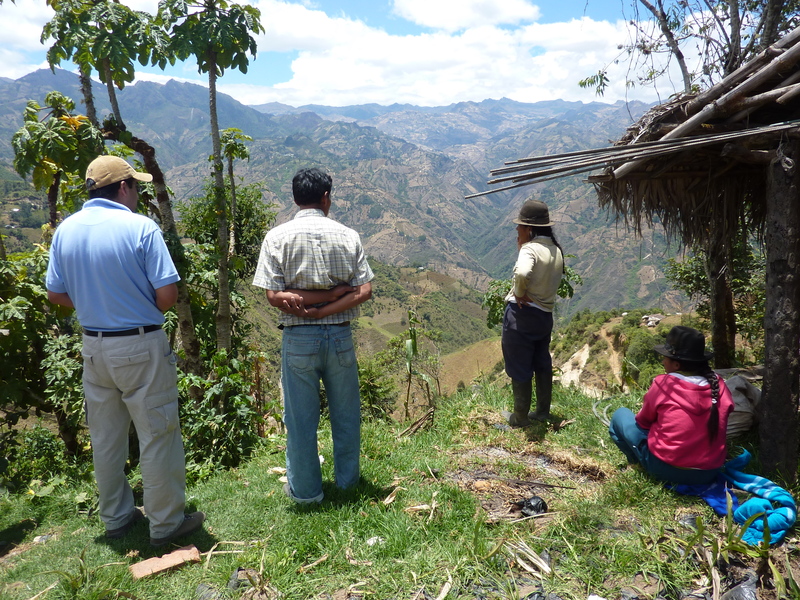 In a recent evaluation the villagers of Padrehuasi took us on a transect walk to show and talk about their progressions. Various types of the fiber and color tint plants we have seen during this two-hour walk. Such as the Cabuya plant, used to cultivate the fibers. Also, the Chanchi and Shilca used to cultivate color tints. Furthermore, another type of plant named Tocte has been introduced during this visit as an experiment. This plant takes up to ten years to get ready to produce these color tints but might show to be more cost-effective than other types of it’s kind who usually take up to two or three years to produce. The Tocte (Nogal) plant is actually multi-functional since the seeds of this plant can be consumed as well as be utilized for the seed banks. Moreover, the wood of the Tocte plant has also its purpose. 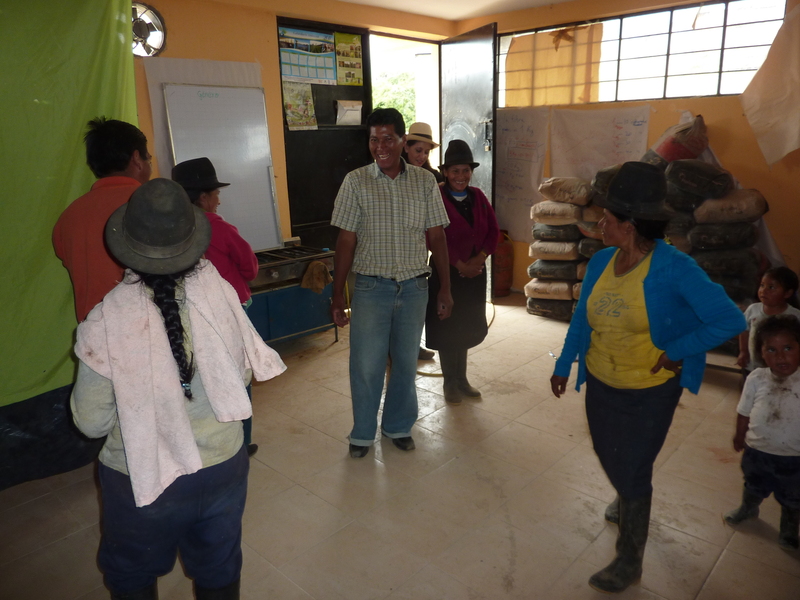 After an impressive transect walk a participatory training was provided by Ecopar to inform villagers on the themes “gender” and “equity”. Both themes bring up daily complications for especially the woman in Padrehuasi. Nonetheless, both men and women joined the training and as you can see on the photos below. Ecopar is a Non Governmental Organization contracted by the PPD (Programa de Pequeñas Donaciones del PNUD) to give their technical opinion. The PPD is the main funder of this project. Another interesting topic discussed during this evaluation session concerned ‘Bancos Comunitarios de Semillas’ a strategy in order to conserve and promote community based management of agro-biodiversity. 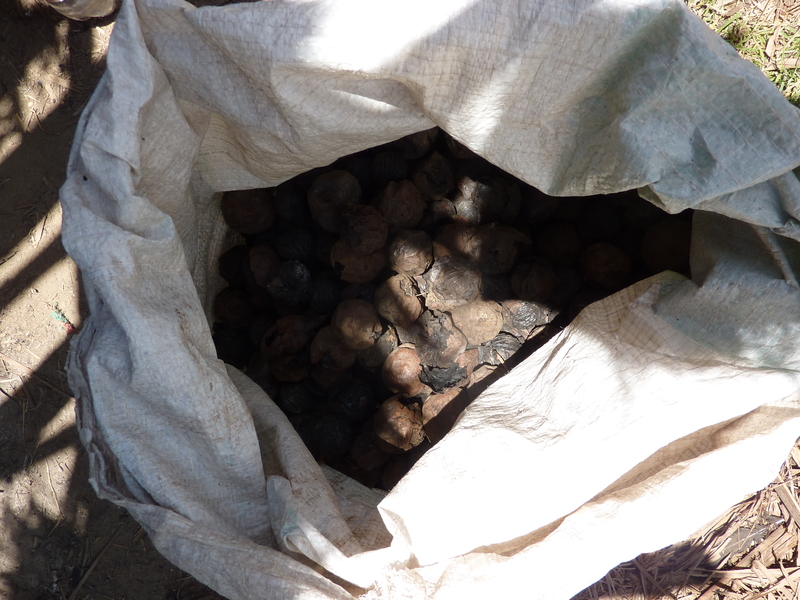 The villagers of Padrehuasi are still getting to know the concept but are starting with the seeds of the Tocte (Nogal) plant to experience and learn more about savings and auto-sustainablility. The mechanism being implemented by EkoRural is called “2 x 1” and permits isolated communities like PadreHuasi to capitalize step by step.